Conventional radiotherapy of 60 – 66 Gy 2Gy per fraction is used routinely. This is usually combined with concurrent chemotherapy or adjuvant chemotherapy. For whole breast fields the dose is within a narrow range, usually about 45-50 Gy +/- a boost. Differences in stage, grade and tumor location are more likely to affect whether and which nodal fields (e.g. supraclavicular, axillary, internal mammary) are treated. 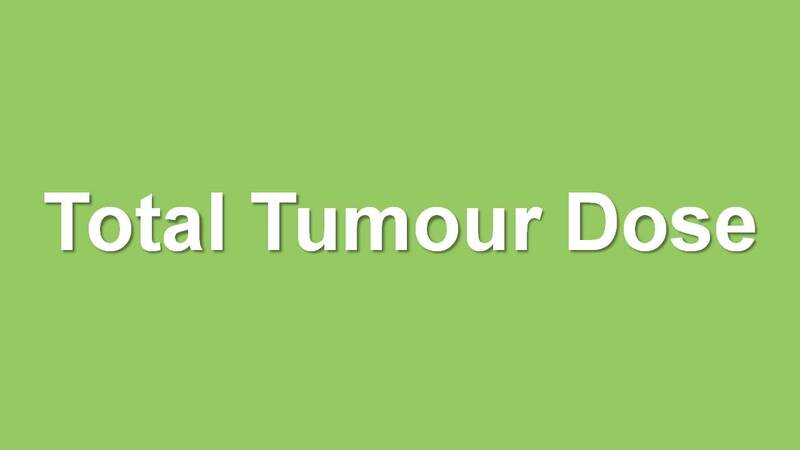 Most of brain tumours the standard dosage protocol is 60 - 70 Gy in 30# - 35#, 2Gy per fraction. The standard protocol for the cancer of female genital areas are 50 Gy in 25# followed by the boost given through brachytherapy of 3# of 18 – 21Gy. 1. What is the standard protocol for cancer of cervix? a) 50 Gy in 25# and brachytherapy of 3# of 18 – 21Gy. b) brachytherapy of 3# of 18 – 21Gy. 1. a) 50 Gy in 25# and brachytherapy of 3# of 18 – 21Gy.